In tonight’s action quads, NM Daniel Lowinger was in form, winning all of his games with seeming ease to take first place in the top quad. 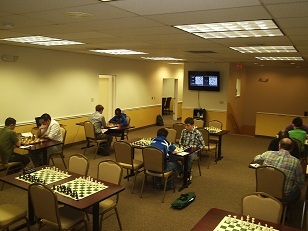 CCFC regular Leo Bykhovsky also won all three games to finish on top of his quad. Bykhovsky’s performance was enough to propel him over 1800! Join us next week or watch the games live on our website!